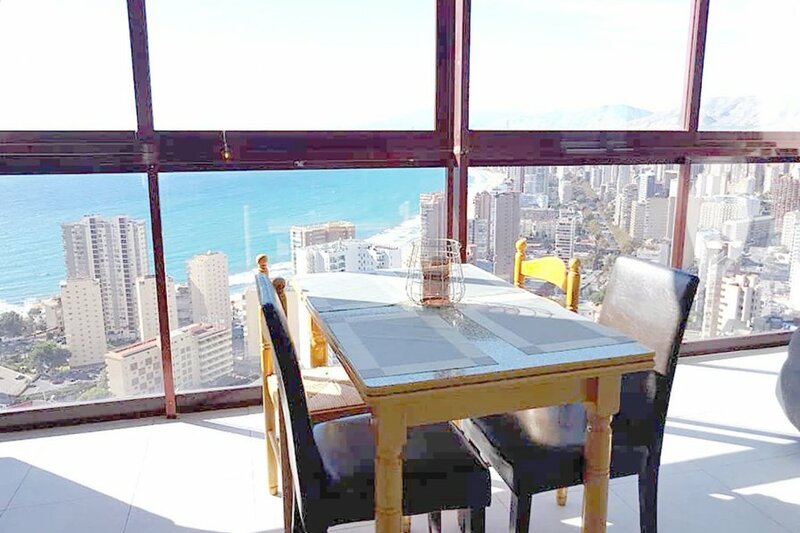 This 1 bedroom apartment with swimming pool is located in Benidorm and sleeps 3 people. It has WiFi. We have a great 1 bed apartment located on the top floor in the Gemelos 15 apartment complex. South facing with the sun all day long. It is located on the 26th Floor, has one double Bedroom with fitted wardrobes, and fitted Bathroom with a bath and shower. There is a fitted equipped Kitchen with hob and microwave. There is a Lounge dining room with enclosed balcony, with a single bed. This is a Secure complex with gated security, day porter and CCTV. This apartment is great value for money, close to all amenities and in the heart of the Rincon de Loix.